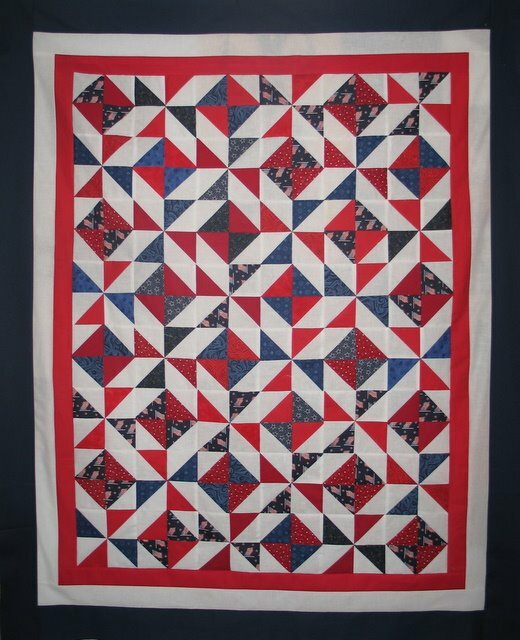 I added a blue border to this Patriotic quilt. I think that the dark border really sets off the pattern and completes the design. Now on to the quilting! The dark blue final border is a perfect finish. Now on to your awesome quilting! WOW I am in awe!!! I will deffinitly be back… your quilting is beautiful!